How fortunate and honored we are to have the Emperor and Empress of Japan take a moment from their busy schedule to rest and revitalize their spirits in the beautiful, quiet atmosphere of the Japanese garden in St. Louis. May the tree you plant today grow and symbolically strengthen the harmonious relationship between between Japan and the United States. Seiwa-En was inspired by the members of the St. Louis chapter of the Japanese American Citizens League. The Japanese garden is an inspirational gift to St. Louis from the hearts of local Japanese Americans, many who were uprooted from their west coast homes and whose sons and daughters had to prove their loyalty to the United States on the battlefields of Europe and in the Pacific. Almost fifty years ago, the Japanese Americans came from the internment camps to St. Louis. St. Luoisians extended their friendly and helpful hand to us in our time of need. St. Louis’ educational institutions, business and corporate communities and private families opened heir hearts and facilities to give us the opportunities to regain our place in life. And so the Japanese garden is a symbolic gift of appreciation by the Japanese and Japanese Americans to the city of St. Louis for their spirit of good will and kindness. The original Japanese American Citizens league gardens committee members were Sam Nakano, George Hasegawa, Richard Henmi, Yukihisa Rikimaru and Dr. Al Morioka. All are present today except Dr. Morioka, who is deceased. The Japanese Americans Citizens League garden committee members approached Dr. Peter Reven, Director of the Missouri Botanical Garden, under whose leadership resulted in the creation of the Japanese garden. The Japanese American Citizens League garden committee was fortunate in obtaining the services of Dr. Koichi Kawana, professor of Environmental Design at the University of California at Los Angels (UCLA) and paid for the original design for the Japanese garden. A true appreciation of the Japanese garden required on to look not only at the obvious forms, shapes and materials, but look into something which exists beyond these entities. You must see not only with your eyes, but with your mind. Thus, the viewer develops an empathy with the garden and by suggestive means and imagination is enabled to expand the garden beyond its actual limits. Unfortunately, Dr. Kawana passed away several years ago, but his spirit is always with us. The Japanese garden occupies 14 acres, the largest and finest Japanese garden in North America. The ground breaking ceremony on September 24, 1974 by the Mayors of Suwa, Japan and St. Louis (Sister cities), and the President of the Garden’s Board of Trustees marked the official start of the construction of the Japanese gardens. It also symbolized a shared commitment to the undertaking that introduced an art form entirely new to the center of the garden. At this time, Suwa City also presented a gift of a large stone snow viewing lantern, the Yukimidoro, to the garden. In 1976 Nagano, Missouri’s sister state in Japan, donated a gift of a authentic Japanese Teahouse, which was constructed by master craftsman from Matsumoto City, Japan. Mr. Paul Maruyama, retired businessman and Japanese American Citizens league member, has spent a lifetime bridging the cultures of Japan and the United States. Through his dedicated efforts, he founded the Sister City relation with Suwa and St. Louis, and the Sister State relation with Nagano Prefecture and Missouri State. We will be celebrating its twentieth anniversary this September when the Japanese delegates visit the city during our Japanese Festival. In May 1977 Seiwa-en, the Japanese garden was dedicated after almost three years in development at the Missouri Botanical Garden. Another Japanese garden was in Forest Park during the World’s Fair in 1904, and to bridge the new with the old, a stone lantern from the 1904 Japanese garden was placed in the new garden. Also present was Mrs. Kacho, a Japanese American relative of Prince Fushimi, Imperial Prince of Japan, who attended the 1904 World’s Fair. The dedication of the garden marked the realization of a long time dream of local Japanese and Japanese Americans. 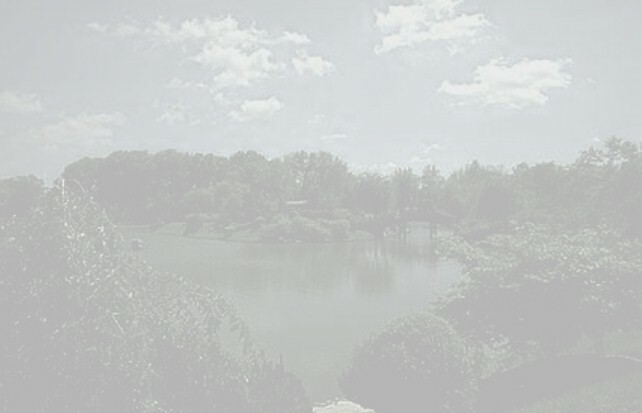 Their modest hopes for a gift to St. Louis had blossomed into a “thing of beauty and a joy forever.” Seiwa-En symbolizes a cooperative effort which not only includes Japanese and Japanese Americans, but members of businesses, corporations, organizations, individuals, state commissions and others whose financial and moral support joined together to make the Japanese garden a reality. For twenty years, the annual Japanese Festival activities have celebrated the Japanese culture and traditions. Today, the Festival is organized and presented by cooperative participation by Japanese nationals, Japanese Americans and other who are talented in Japanese culture. Visitors to the festival have been treated to Taiko drummers, Bonsai and Ikebana displays, pottery making, calligraphy, Koto playing, tea ceremony, Aikido martial arts, kendo, nagamochi parade, kite making, print dying, Japanese dancing, story telling, sand art, doll making, wood block print demonstration, origami, movies of Japan, Lectures and traditional foods of Japan. A Japanese garden gives the visitor an opportunity to mediate in an environment which brings the person to nature’s more peaceful side.